A good part of black money is eliminated from the economy. This money can be spent by Indian government for the development of country. Post-demonetization, Indian government blocked many routes for black money formation. With increased transparency, trust on Indian Economy is increased. Thereby foreign investments poured in. Amid the fears of government moves, everyone is now ready to pay the taxes. Hence more revenue for Indian government. Due to the heavy usage of cash transactions, informal sector is the worst hit by demonetization move. Though it suffered at first, many informal organizations are now turning into formal organizations, which means more transparency and more taxes for Indian Economy. Demonetization move encouraged cashless transactions, which is a boost to Economy. As people are more likely to keep their money in banks, savings will be increased. With more money in banks, loans will be available to more people. With increased loans, banks will be benefited by interests. GDP growth was earlier estimated as 7.8%. Post-demonetization, estimates are lowered to 7.1%. Agriculture sector, small and medium scale businesses and informal sectors are the worst hit by demonetization. It takes a lot of time for them to recover from the losses. This has a negative effect on Economy. There is no guarantee that demonetization move will turn India into a cashless economy. Consumer demand was hit by demonetization, hence retail inflation fell to 3.17% – a multi year low. With this, growth of economy will slowdown. Though the GDP growth will get hit for the year 2017, the effects of demonetization move along with policies like Digital India, Benami Act, cap on cash transactions will spur GDP growth in the coming years. 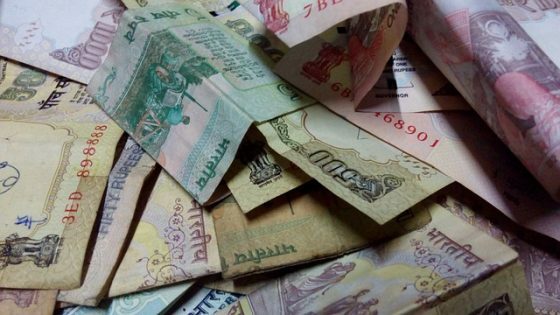 Do you think demonetization has a positive impact on Indian Economy? Express your thoughts in the comment section below. One major reason why bubbles in the economy burst is because banks create much more credit that their capacity and the central bank hardly intervenes. With demonetization, the amount in banks have increased multiple folds increasing their ability to lend and more than often they do so without a through background check or without any consciousness thereafter. With NPA regulations in India being far from satisfactory, i believe our country is right on track for a mind boggling bubble which when bursts, would take us way back in time, bringing into notice our history with renaissance. Governments are an in-efficient way of getting things done. Would you buy a public sector made car or a private one? For all the promises that politicians have made over the years, one must go and ask people in the lowest segment of the society about how much trust they have in governments. The answer would most likely be close to nil. << This is to answer questions about supposed good intentions of governments. Now talking about the economy, it is a widely accepted fact that the reason India did not suffer as much as the West was the huge proportion of the shadow economy here. This is the economy that is not under the control of the central bank and as such adapts better to the market (as one would expect from a public institution). This shadow economy, which people agree is the sector that saved us, is the one that is hit by this move the worst. What we have done is put more control in the hands of a public organization, I hope they, and then all those who come after them are just absolutely fabulous at managing the economy, otherwise we're doomed.